MASMOVIL Group, Spain’s fourth largest telecommunications operator, has signed an agreement with Eutelsat’s (Paris:ETL) subsidiary, Eurobroadband Infrastructure, to distribute broadband services to under-connected areas across the country via the KA-SAT satellite. 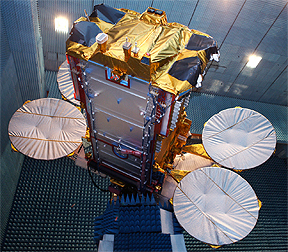 Launched in 2010, KA-SAT is a powerful satellite delivering broadband services across Europe, notably Spain, through 82 spotbeams connected to a network of ten ground stations. Its unique configuration and frequency reuse allow it to achieve a throughput of over 90 Gbps, providing Internet access at speeds comparable to terrestrial networks. This agreement will allow MASMOVIL to achieve its objective of offering broadband services to the entire Spanish population, regardless of the technology used, and bringing Internet access to remote areas of the country, thereby reducing the digital divide in Spain. Satellite technology will give customers instant access to broadband Internet once the service is hired and the equipment is installed, since it does not require any additional infrastructure deployment. MASMOVIL will offer services with speeds of up to 50 Mbps and data downloads from between 30 GB and 150 GB per month. Fees will start at €37.90 per month, with subscription options to additional mobile services, corresponding to bundle offers. Initially, the service will be available through the Embou brand, a subsidiary of MASMOVIL () as well as at MASMOVIL points of sale. From the beginning of 2019, it will also be available through the rest of the Group's brands. Meinrad Spenger, CEO of MASMOVIL Group, said this new initiative represents a significant step toward bringing internet broadband to the entire Spanish population, regardless of the technology, providing new solutions to respond to the connectivity needs of customers, wherever they are, and further expanding the growth of the company's customer base. Rodolphe Belmer, CEO of Eutelsat, added this agreement with MASMOVIL, one of Spain’s leading telecom operators, further highlights the role of satellite technology to complement terrestrial networks in underserved areas, and specifically, KA-SAT’s in overcoming the connectivity barriers that remain even in mature markets. 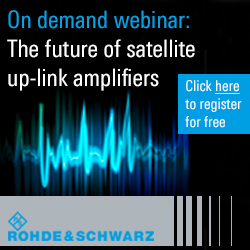 From 2020 onward, Eutelsat will pursue its commitment to narrowing the digital divide in Europe and beyond, leveraging on its KONNECT and KONNECT VHTS satellites.